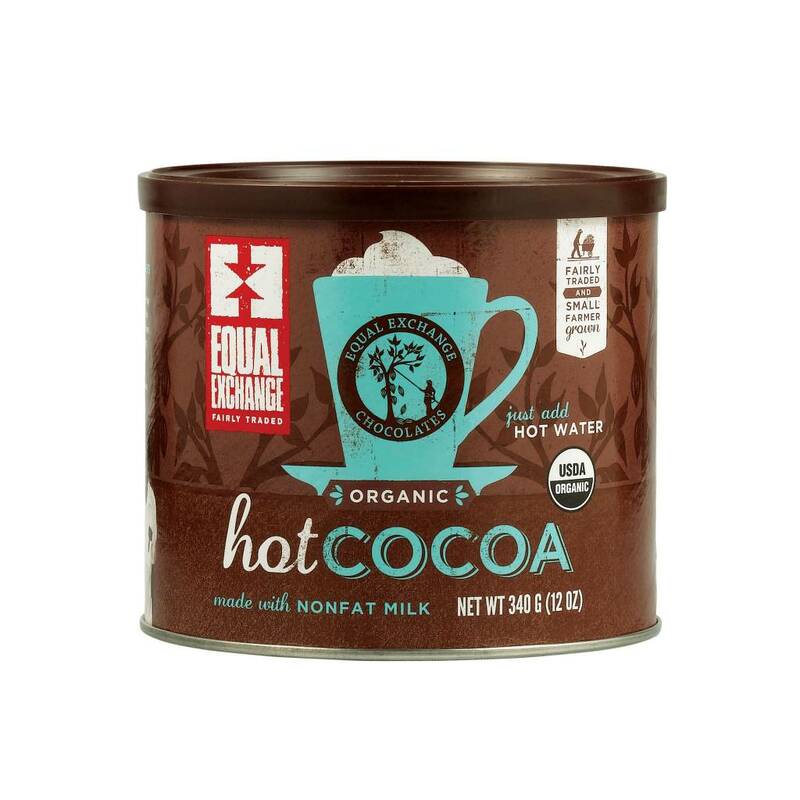 Our delicious fairly traded organic hot cocoa has a rich chocolatey flavor that children and adults will love. *Organic Evaporated Sugar Cane Juice, Organic Nonfat Dry Milk Powder, *Organic Cocoa - Processed with Alkali, Organic Guar Gum, Sea Salt, Organic Carob Gum, Organic Vanilla Powder (Organic Vanilla Extract, Organic Maltodextrin, Organic Gum Arabic). *Fair Trade ingredient: by weight 73% from Fair Trade cooperatives.